For many customers, the company says, it will be the first price hike in two years. Your morning jolt is about to get a little more expensive Tuesday. That tall latte from Starbucks could cost you a little more in loose change on Tuesday. The Seattle-based coffee company will raise many of its drinks' prices in U.S. stores nationwide starting June 25, it said last week — marking its first price hike in two years for most customers. Prices will rise on average by 1 percent nationally starting Tuesday. But the price for many drinks, such as medium and large brewed coffees and Frappuccinos, won't change in most of Starbuck's 11,000 U.S. cafes, according to the company. 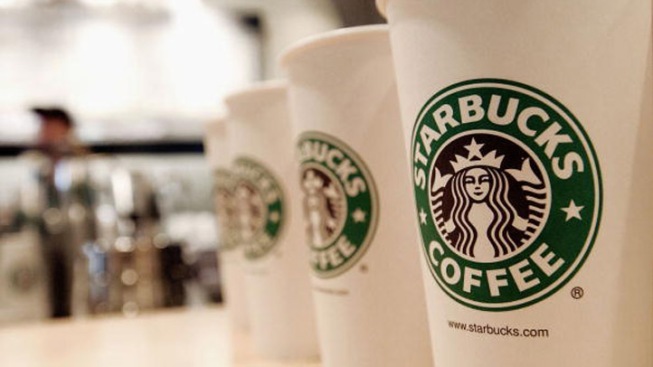 Depending on the market, Starbucks notes it's the first price hike most customers will see in about two years. The price hike comes despite falling coffee costs that have boosted the company's profits. In the last quarter, Starbucks cited lower coffee costs for a stronger operating margin, which represents the money it pockets from sales after subtracting what it pays to keep stores running.